Software sales from Apple's mobile App Store as well as competing options like the Android Market are expected to continue their huge growth in the coming years, reaching $14.1 billion in direct revenue in 2012 and nearly $40 billion by 2015. Canalys on Wednesday offered its latest analysis, projecting that sales from digital download destinations for mobile devices will grow 92 percent from an expected $7.3 billion in 2011. The firm sees mobile application stores experiencing a four-year compound annual growth rate from 2011 to 2015 of just under 50 percent. Canalys believes that digital stores with too many applications can be a "problem" for users, providing them with "overwhelming choice." The firm has suggested that mobile network operators, or MNOs, create their own application stores to compete with existing options by providing an improved customer experience. "The leading stores already have hundreds of thousands of apps, so it's hard for operators to compete with those numbers," Canalys Analyst Tim Shepherd said. "On the other hand, too much choice brings serious problems in terms of application discovery for both developers and users, which operators can turn to their advantage." Canalys said a customer searching for a weather application in the Android Market will find numerous possibilities, and many of those options may not have user ratings or reviews. Network operators could improve the experience by offering a "narrower, yet fully vetted, choice of apps" that could be tailored for users based on subscriber data. "As more content and services are delivered over their networks, many MNOs are aspiring to move up the value chain," Shepherd said. "When it comes to detailed subscriber data, operators certainly have the competitive advantage. "While they must clearly be careful to respect their customers' privacy, the data they hold leaves them well positioned to propose targeted marketing services, such as promotions and recommendations, as well as richer editorial guidance, better localization, improved security and simpler billing processes." By creating their own application store, a carrier might be able to boost customer loyalty by building a consumer experience that users prefer. This could also lure new users, who would only be able to get that experience from one carrier. "Some operators are concerned that having their own branded app stores will appear as a throwback to the 'walled gardens' of the past," Shepherd said. "While consumers would probably object to operators installing their app stores in place of vendor ones, there is no reason for operators not to pre-install their app stores alongside vendor stores to compete on user experience." 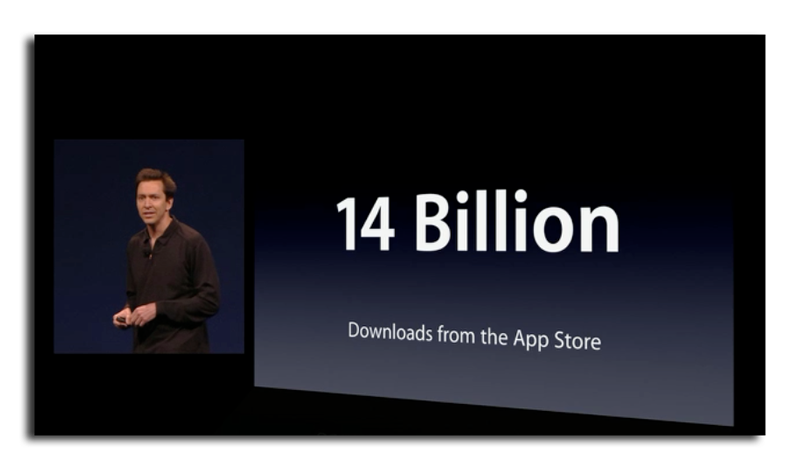 Of course the largest mobile application store is Apple's own App Store for the iPhone and iPod touch. At the Worldwide Developers Conference earlier this month, Scott Forstall, Apple's senior vice president of iOS software, revealed there are more than 425,000 applications available in the App Store. Forstall also revealed there have been more than 14 billion applications downloaded since the App Store launched in 2008. Apple has paid more than $2.5 billion to developers so far.